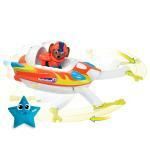 Join Zuma and dive into excitement aboard his 2-in-1 Sea Patrol Vehicle! As the Paw Patrol’s resident underwater expert, Zuma is prepared for any aquatic adventure! 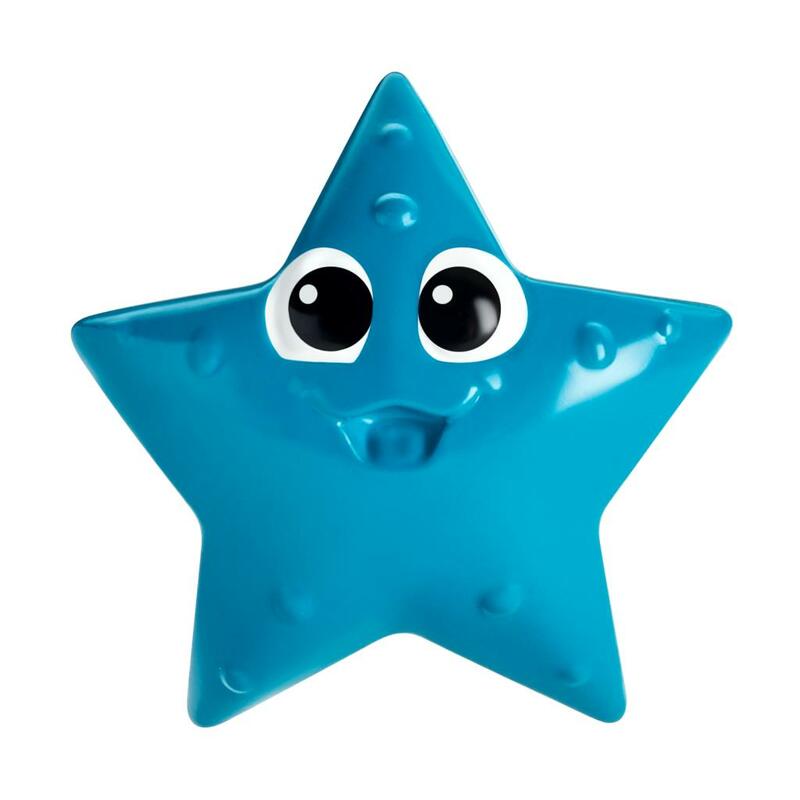 Place him (figure included) in the divers’ seat and whiz across Adventure Bay. When you and Zuma spot trouble, turn the speedboat into a rescue craft! Extend the rescue arms and use the claws to lift and move objects in your way. You can even team up with Zuma’s starfish sea friend (included) for even more adventure! To complete the Paw Patrol, collect all six pups! 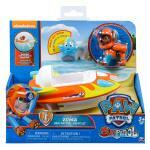 Ready, set, get wet with Zuma’s Sea Patrol Vehicle! 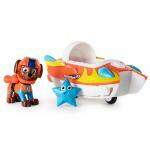 Team up with Zuma and go on twice as many adventures with his transforming Sea Patrol Vehicle! With a few fast changes, this pup’s speedboat turns into a rescue craft! Zuma’s Sea Patrol Vehicle comes with all the features needed for rescue missions. 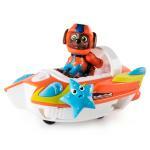 Whiz across Adventure Bay on his speedboat, and then extend the rescue arms to transform into a rescue craft! Each vehicle comes with a Zuma figure in Sea Patrol uniform, and a bonus sea friend figure! Put Zuma in the driver’s seat and team up with your starfish sea friend for even more fun! 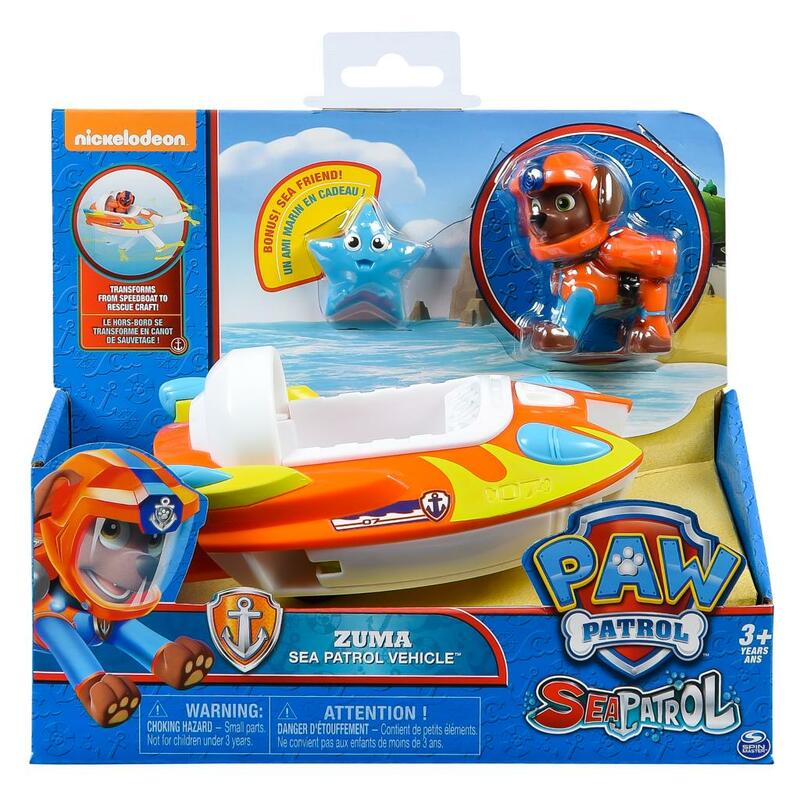 Zuma’s Sea Patrol Vehicle is for kids aged 3+. Not meant for use in water. Collect the rest of the Sea Patrol and embark on a new mission!